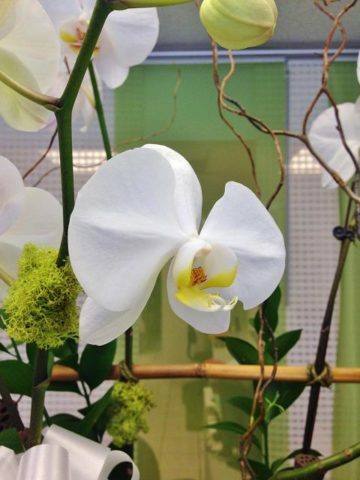 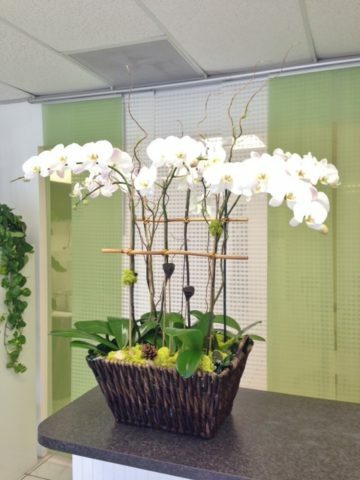 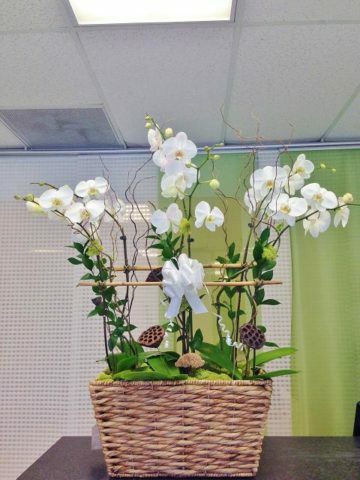 6 Beautiful phalaenopsis orchid in a rectangular clear large vase decorated with stones, curly willow, bamboo sticks, and green moss. 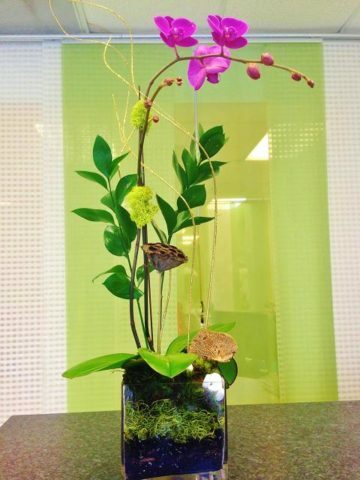 SKU: OR006. 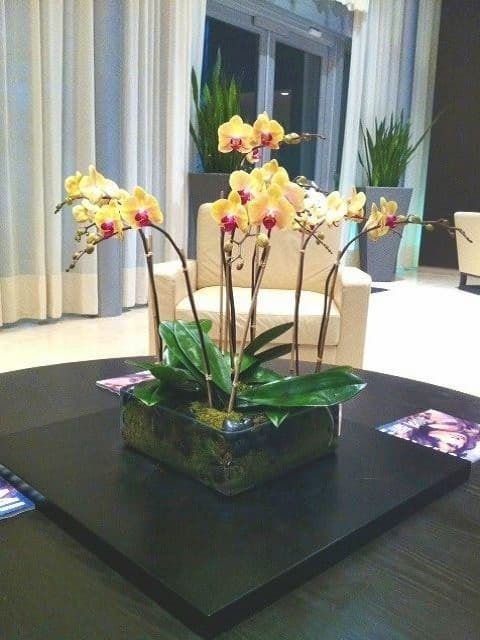 Category: Orchid Plants.